The Law Office of Kelley Spigel takes pride in our devotion to understanding your needs and objectives. Our Anne Arundel Family Attorneys have a proven track record of advocating our clients’ rights during all phases of the divorce process, negotiations, and court appearances. We have experienced divorce lawyers who are familiar with the intricacies of the Maryland Family Courts. Let us help you! Rated Super Lawyer, Rising Star, and Voted 10 Best Lawyer since 2015, our firm is dedicated to excellence. Do not hesitate to call (410) 991-2792 for a complimentary consultation with a member of our firm. People often move forward with legal separation when they aren’t ready to give up on their marriage or are opposed to divorce. However, Maryland law does not provide for legal separation. In Maryland, couples must file for a limited divorce. With a limited divorce couples are still legally married; however, it allows the court to make decisions regarding settlements, alimony, child support and child custody. The Glen Burnie family law attorneys at the Law Office of Kelley Spigel provide committed and experienced representation for parties seeking limited divorce. Contact our office today at 410-991-2792 for a free consultation. "Ms. Spigel is the best! She took the time to explain my options relating to my case. Provided frequent updates, responded to my questions and concerns immediately. Could not have asked for anyone better. Would highly recommend. Thank you Kelley..."
"Kelley did an unbelievable job with my case. She did everything that I couldn't do myself and then some... She stayed in touch with me in every step of the way and is very reasonable with her rates. She is very professional, personable, and all around great to work with... I recommend Kelley for any of your family law needs... And again THANK YOU KELLEY FOR EVERYTHING!" "Kelley was incredibly professional and personable. She completed everything necessary to finalize my divorce. 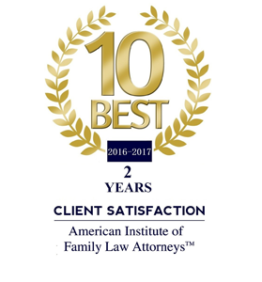 I am extremely grateful for her services and will recommend her to anyone in need of family law help." "I was referred to Kelley from a family member, who said that she knows more about family law in Anne Arundel County than anyone. From the time we spoke on the phone to our meeting in her office, I knew I had made the right choice! She followed up weekly and even daily to ensure my case ran smoothly and gave us the best results. She is personable, caring, and knows more about family law than I could have imagined. Thanks to her, I was awarded Primary Custody and Child Support in a very tough situation. I cannot thank her enough and will continue to refer those who are in need of her excellent service and knowledge of the court system!" "I would highly recommend Kelley. She did an AWESOME job with my custody case and my protection order. Kelley stayed in touch with me through out the entire process and she always made sure my girls and myself were ok. She is VERY well priced for the types of cases she handles, and I will always refer anyone with the same needs as I had to her in a second. Lastly... Thank you Kelley you are AWESOME!" 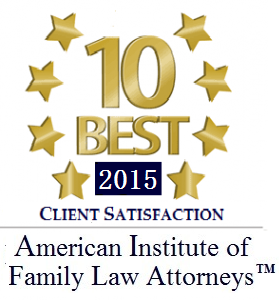 "I sought the help of Kelley Spigel concerning a 3rd party custody case. Out of the 3 lawyers I met with she was the one I felt who could handle my case. I highly recommend her. She is very professional and personable at the same time. On my first meeting with her I came away feeling so relieved and felt assured things would go in my favor...and they did. She showed a genuine concern for what was going on and always responded promptly when contacted. I am so thankful for the service she provided and would not hesitate to use her again!" "The Law Offices of Holmes & O'Connor, P.A. have collaborated on several occasions with Law Offices of Kelly Spigel. Kelly is an excellent attorney who is attentive to the needs of her clients. She is always prepared and is a zealous advocate." "Kelley was hired by my mother, Amy Lanham for her divorce. Kelley has went above expectations for everything and did anything she could to help my mother in every way. She took the time to sit down and really listen and understand the situation so she could make sure that she was doing everything possible to get my mother what she deserved out of this. I will always HIGHLY recommend Kelley to anyone! Excellent attorney!" "I felt very comfortable leaving legal aspects of my situation in her hands. Attorney Kelly is very professional. She helped me every step of the way through my divorce and custody case. She was truly prepared and not leaving me behind. I highly recommended her. Thank you Attorney Kelly." "Facing a divorce can be daunting, scary and stressful – it certainly was for me – and finding the right lawyer is absolutely crucial when you need to work out a solution that works when you find yourself in a place in life where you hardly can think straight for yourself. I consider myself very lucky to have found Kelley after a lengthy search. Trusting her to represent me in my divorce proved to be one of the best decisions I made. I would describe Kelley as a no-nonsense, straight to the point, extremely knowledgeable and professional divorce lawyer. At the same time she is a strong negotiator who finds creative solutions to hammer out agreements that work. On top of everything she has very good people skills so no matter how much I stressed she was there for me and helped me to stay in perspective – and most important not to lose my sanity! Best of all she is extremely affordable. That combined with taking care of all my worries ensured I could sleep at night knowing that I was in the best hands possible. I can’t be more grateful to have had such a wonderful professional in my corner." "Kelley was the first and only lawyer that I contacted and met with for my divorce. After meeting and discussing my situation it was clear that she was the best lawyer to represent me through this. She advised me on the best way that I should proceed and listened to me about the way that I wanted to proceed. Throughout this divorce process, Kelley constantly stays in touch, keeps me updated, and has answered and advised on every question that I have asked her. Kelley really cares about the people that she is representing and it is greatly appreciated. I would recommend her to anyone that wants an attorney that will always lookout for their best interests. We are close to having my divorce finalized and I just want to personally thank Kelley for everything that she has done for me this past year working with her. She has made it stress free and easy for me." "No matter where you are in your search for a lawyer, add Kelley to the list of lawyers you must speak with before choosing one. She has my highest possible recommendation. From day one, she represented the very best that could be hoped for in a family lawyer. She was the fifth lawyer I spoke to, and the only one to actually listen. She was the only one to make recommendations that were focused on what I was hoping to achieve, not simply on defense. Where other lawyers were certain I would lose, her modern sensibilities quickly overcame any concerns as a single father, and her case experience and familiarity with the Anne Arundel courts allowed her to navigate the case in a way that gave me the best opportunity for success. In two court appearances, she was proactive, tenacious, and her preparation, professionalism, and deep understanding of the law won the day. She billed fairly, was a patient and engaged guide through every step, and was honest and up front about all aspects. She never lost sight of the fact I was a person, not just a client. She was considerate, responsive to time-sensitive questions and issues, and made sure I was not being taken advantage of. I consider myself fortunate to have had her represent me, and the other positive feedback that lead me to her consistently tells the same story. She is quite simply a superlative lawyer." "I worked with Kelley for my divorce and I could not recommend anyone else if you are in this situation. I met with 4 other lawyers before I chose Kelley. She is extremely professional, makes sure to keep you up to date and constantly follows up if needed. She goes out of her way to do any needed research in order to be better prepared. I am impressed with her dedication and work ethic. Thanks Kelley." "I had spoke to several Lawyers prior to meeting Kelley, after talking and discussing my situation it was clear that she was the best lawyer to represent me. Throughout my divorce Kelley made sure I was informed of all the best and worst case scenarios. She fought hard for everything and really made my side of the divorce as painless as possible. Her knowledge and skill is beyond anything I could have expected. Every discussion and communication I felt like kelley had a personal stake in the outcome for my case. I have dealt with several lawyers during my adult life for various reasons, kelley was by far the best attorney Ive had the pleasure of representing me. I would recommend her to anyone that wants an attorney that will always lookout for your best interest. Having her as my attorney was worth every penny and then some." "Outstanding! Facing a divorce can be daunting, scary and stressful – it certainly was for me – and finding the right lawyer is absolutely crucial when you need to work out a solution that works when you find yourself in a place in life where you hardly can think straight for yourself. I consider myself very lucky to have found Kelley after a lengthy search. Trusting her to represent me in my divorce proved to be one of the best decisions I made. I would describe Kelley as a no-nonsense, straight to the point, extremely knowledgeable and professional divorce lawyer. At the same time she is a strong negotiator who finds creative solutions to hammer out agreements that work. On top of everything she has very good people skills so no matter how much I stressed she was there for me and helped me to stay in perspective – and most important not to lose my sanity! Best of all she is extremely affordable. That combined with taking care of all my worries ensured I could sleep at night knowing that I was in the best hands possible. I can’t be more grateful to have had such a wonderful professional in my corner." "Simply Outstanding! No matter where you are in your search for a lawyer, add Kelley to the list of lawyers you must speak with before choosing one. She has my highest possible recommendation. From day one, she represented the very best that could be hoped for in a family lawyer. She was the fifth lawyer I spoke to, and the only one to actually listen. She was the only one to make recommendations that were focused on what I was hoping to achieve, not simply on defense. Where other lawyers were certain I would lose, her modern sensibilities quickly overcame any concerns as a single father, and her case experience and familiarity with the Anne Arundel courts allowed her to navigate the case in a way that gave me the best opportunity for success. In two court appearances, she was proactive, tenacious, and her preparation, professionalism, and deep understanding of the law won the day. She billed fairly, was a patient and engaged guide through every step, and was honest and up front about all aspects. She never lost sight of the fact I was a person, not just a client. She was considerate, responsive to time-sensitive questions and issues, and made sure I was not being taken advantage of. I consider myself fortunate to have had her represent me, and the other positive feedback that lead me to her consistently tells the same story. She is quite simply a superlative lawyer." "Excellent Attorney! Kelley Spigel is an excellent lawyer. she is very intelligent and handles herself in a professional manner. she did not treat me just as a client like most lawyers. she is more like a friend. she seemed very concerned about the issues in my case. She thoroughly explained all of my legal options. I hired Kelly for a custody manner. Pertaining to the custody case I hired her for, Kelley was able to get me everything I was asking for even though we were up against tough council. Kelley was able to identify every mistake the opposing counsel made and was able to strike there bs accusations from the record. she is an excellent lawyer and will fight for your rights. Kelly is also not expensive compared to many custody attorneys. Most lawyers nickel and dime you to death and charge you for every second they have to see you. Kelley does not. she is extremely fair and trustworthy on her fees. I would recommend her to anyone looking for fantastic legal counsel." "Kelley is a wonderful advocate! Kelley was attentive and responsive to my concerns throughout my case. She is knowledgeable and researched questions thoroughly. Opposing council was largely very difficult to deal with. Kelley remained firm yet professional and respectful in her dealings with them. We settled our case prior to trial, so I have not seen her in court. I am confident that her tenacity would make her an excellent attorney to have presenting a case to a judge." "Simply Outstanding! Miss Spigel represents all aspects of an amazing & superior lawyer. From the initial consultation, through information gathering and court appearances, Kelley has presented herself as professional, thorough, thoughtful and considerate. The level, at which Kelly communicates, imparts confidence as well as reassurance to anyone fortunate enough to retain her as council. Her skills & knowledge base are truly impressive, showing time & again that her efforts are thoroughly researched & perfectly executed. The level of attention to detail & work are both obvious & provide additional reassurance to anyone she represents. Kelly always displays a sincere concern for her client & handles emotional situations (for her client) in a way that not only maintains a higher level of professionalism & decorum, but puts the client at ease. Additionally, Kelley is always ready to assist, in correspondence, for events related to my case. I feel that Kelley is “always there, when you need her,” which can be a trait, lacking in other counsel. I have had other legal representation, in cases & I can state plainly that Kelley has executed her representation of myself in a manner start to finish, that outshines & outperforms anyone else. I have no hesitation in not only retaining Kelley, for any future need, but in recommending her to anyone in need of truly superior counsel or legal services." "I wish I could give her 10 stars! I was able to retain Kelley within hours of an unexpected (bogus might I add) emergency custody hearing filed by my son’s father. I received less than a 24 hour notice, and because I’m 4 hours away in another state, I was unable to make the hearing. Kelley was personable, thorough, and straight to the point. She kept me abreast the entire process. Her fee was very reasonable especially since there was such a short notice. Kelley defended me where I was unable to defend myself. I can’t thank her enough. Needless to say the case was dismissed!" "I had the honor of Wesley representing me! Wesley was extremely knowledgeable of the ins & outs of my case. Wesley was quick to answer any & all of my questions. It was beyond pleased with the work Wesley did for me & I would use him again IN A HEARTBEAT if I ever had to do so. Once again.....THANK YOU Wesley!" "Kelley was recommended to me by a friend and I'm so glad I took the advice. She was knowledgeable, easy to work with, and made me feel at ease throughout the process of my divorce. I'd definitely use her again and I'd recommend her to family/friends. Thanks Kelley!"